From the heights of Moki Dugway on Rt. 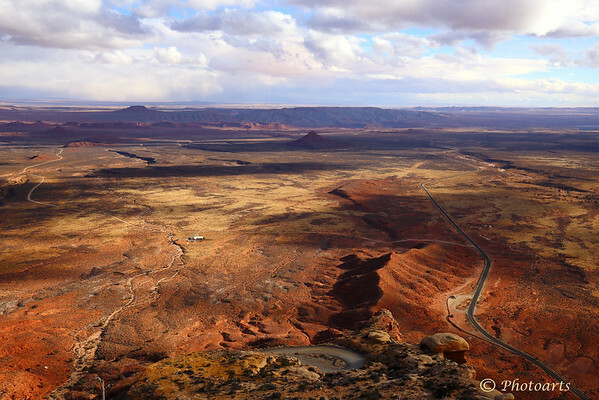 261, standing some 1200 feet above the expansive valley below known as the Valley of the Gods, such stunning vistas in southeast Utah force you to abandon looking through the camera view finder and stand in awe of the landscape so vast and beautiful as to rob you of all speech! Utah is a glorious place. You've made me put this spot on my bucket list. Excellent capture! Excellent! It seems like all of Utah should be a national park.